But his latest European bet, on French liquor-maker Pernod Ricard SA, is different. It’s a more back-seat, common-sense campaign that advocates tweaks rather than a structural overhaul. Judging by the recent board changes at the company and share-price rise, it is working out for Elliott and Pernod’s management. Don’t be surprised if this ends up as more of a sprucing up of the ancien regime than a full-blown revolution. In December, when Elliott disclosed a near 1 billion euro ($1.1 billion) stake in Pernod-Ricard – owner of Chivas Regal, Jameson Irish whiskey and Absolut vodka – it looked like we were in for a typical fight between aggressive New Yorkers and a French corporate treasure. Elliott lashed out at the family-run company’s corporate governance and called for cost cuts to fix its poor performance versus peers. Bloomberg News reported that a sale of Pernod was one option. The drinks firm’s CEO, Alexandre Ricard, defended its long-term investment horizon. The government in Paris weighed in, warning sternly about “short-term” agitators at national champions. But behind the bluster, not much here fits the radical activist template. 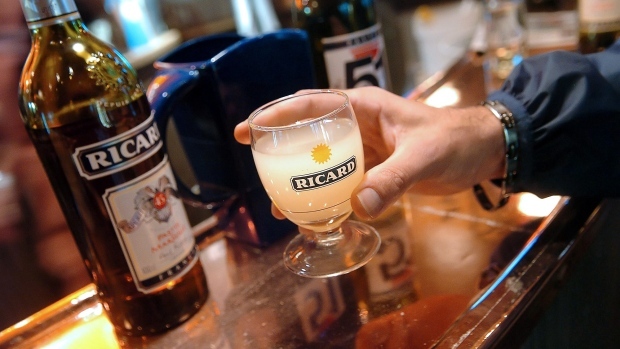 Sell Pernod-Ricard? To whom exactly? The probable antitrust obstacles in trying to bash it together with Diageo Plc or LVMH SE look insurmountable. And trying to argue that Pernod is a lackluster performer and victim of a cosseted board doesn’t entirely work either. The stock has risen 83 percent in five years, versus a 62 percent gain for Diageo. Thierry Le Clercq, a fund manager at Mandarine Gestion, says Ricard appears unfazed by Elliott’s arrival. The attraction to investors is future growth in Asia, and that’s on track. As for Singer, he could do with an easy win in Europe that doesn’t involve a protracted, politically-charged struggle. Other bets haven’t gone smoothly: Telecom Italia SpA is deeper in turmoil, Dutch chipmaker NXP Semiconductors NV failed to get acquired by Qualcomm Inc., and Elliott’s attack on paint-maker Akzo Nobel NV resulted in a truce after legal setbacks.